 A Step Up to Achieve Inc. will provide scholarships to students as a result of individual and corporate donations, as well as state and federal government provided grants. Our organization is an approved 501(c)(3) public charity, enabling tax deductions to those who make donations. One hundred percent of donations will, over time, be provided to Sponsored Students or paid to their account with the Registrar’s Office at the college they attend. We request our corporate donors to provide summer employment and college internship positions for our sponsored students. Of course, in 2016, and for the next few years, the number of such positions would be small. Our intent is to assist each sponsored student in funding part of their education, and to enable them to have opportunities to work in fields related to their major areas of study while they are in college.